Another nice thing about living in a rural area is that you have the space to safely have a small camp fire pit. 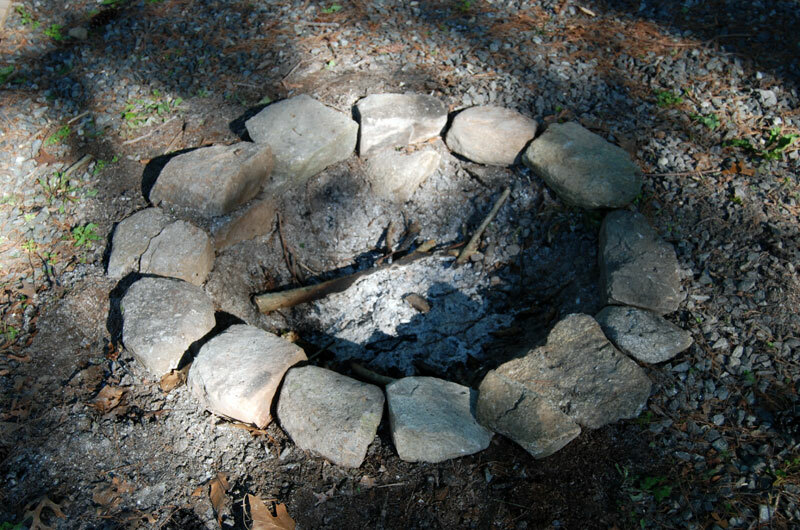 The previous owners of our home had a tipi (don't ask me why) set upon a bed of crushed stone in the backyard and the remnants of the fire pit from the tipi could be seen in the center. 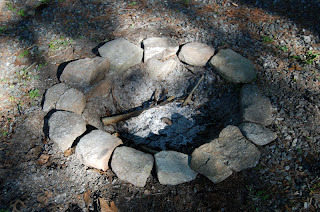 On Father's Day weekend, I dug a larger hole and lined it with some hefty stones that we've been pulling from the flower beds around the property to build us a proper fire campfire pit for evenings of roasting marshmallows and eating s'mores. We used it that night...just the two of us. It was nice, romantic, and just all-around reminiscent of the slow pace of camping (which we probably won't get to do much of this year). Don't you just love the simple pleasures of summer?